If you were Born this month you are a Tantalizing Turquoise! Turquoise has long been a magical stone in the eyes of our Native Americans. It is said that after a long drought when rain finally came it melded with the Indians tears of joy to form the tranquilizing blue stone known as Turquoise, The Fallen Sky Stone. 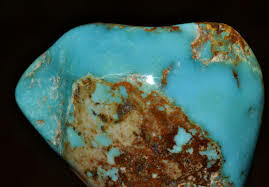 This stone is found in it's beautiful Turquoise color, but also can be found in greens and light blues. For over 7000 year this intriguing stone has been thought to bring blessings, good fortune, protection and long life. It's positive healing was so strong that the Native Americans believed that if you were wearing Turquoise and it cracked the stone had taken the blow that was meant for you.